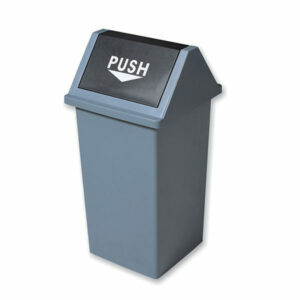 A selection of waste and recycle bins for professional environments. 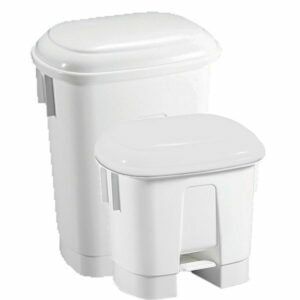 16 Litre pedal bin ideal for use in any small bathroom thanks to its rectangular shape. Fitted with a inner bucket which is easily removable for simple cleaning. 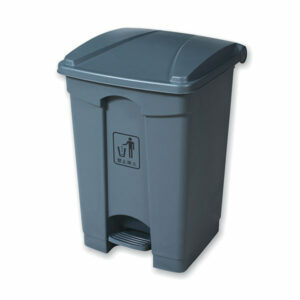 High quality swing bins are available in two sizes. Colour coded lids allow for easy segregation of waste and also recycling. 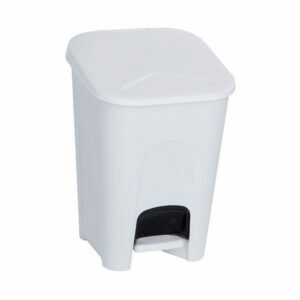 25 Litre swing top bin ideally suited for areas which need to dispose of waste or example offices, schools or canteens. 35 Litre waste bin complete with swing lid. 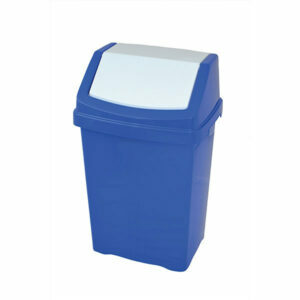 Durable 45 Litre bin complete with step on pedal and lid for hygienic hands free disposal of waste. 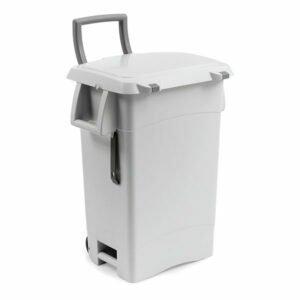 This high quality bin is suitable for use in many environments such as industry, schools, offices, canteens and also many more. 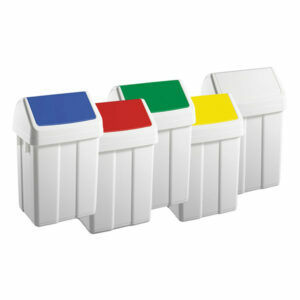 Large 50 litre swing top waste bins are available in 5 colours to allow easy segregation of waste. Ideally suited for office environments. 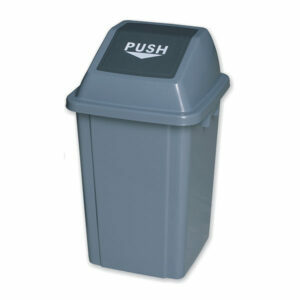 Recycle in the work place with our 60L waste bins. 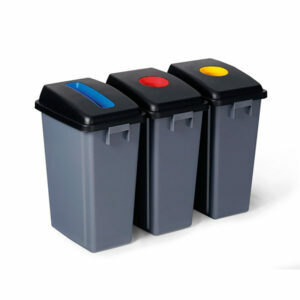 Contains openings with uniquely shaped colour coded lids, this helps identify and also segregate waste. Compatible with our 7333Dolly for easy maneuverability (not included). 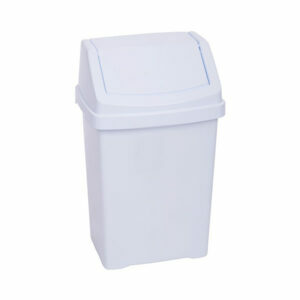 60 Litre waste bin complete with swing lid. Easily manoeuvre our 60 litre recycling bins around the work place with the dolly trolley system. Each dolley can hold one 60 litre bin. 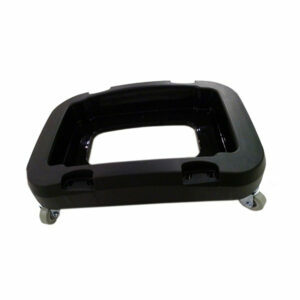 Supplied with wheels and also a clip which enables the trolleys to be attached together and move as one.